Initially passed over due to cost and perceived unneeded services, this MSP ultimately was awarded a services contract when the cheaper option failed to deliver. Sometimes it takes a customer choosing to not initially work with you to understand what they’re missing. Such was the case with managed services provider (MSP) powersolution. com and one of its customers. The MSP was approached by Memory Care Living, an Alzheimer’s and dementia care provider in New Jersey. After approaching powersolution. com and another MSP (which was really more of a breakfix operation doing quasi-managed services) for help with IT support, the organization went with the cheaper proposal rather than the total solution approach — and more expensive option — from powersolution.com. “We received pushback for two reasons,” recalls David Ruchman, CTO of powersolution.com. “The first being that they saw our solution as too expensive for their environment and that they did not need some of the technologies we were going to be implementing. Secondly, Memory Care did not believe that they required managed services. Their perception was that they had very few support issues and that a break-fix type contract would suffice.” That decision would prove costly. About six months later, Ruchman received a call from Memory Care looking to shift to powersolution.com. “One of its user’s laptops was stolen,” he recalls. “The other MSP was doing backups of the laptops, but there was no encryption in place. To make matters worse, when they attempted to restore the data from the backup, it was discovered that the backup was not functioning and the user lost about a month’s worth of data.” In general, as problems arose, it seemed as if the other company was throwing technologies at problems reactively — and not really effectively — rather than delivering a cohesive, comprehensive, and preventative solution. That was enough for the organization to realize that the cheaper option wasn’t the best one and powersolution. com was given the green light to proceed. Memory Care Living has 13 communities and one corporate office in New Jersey. Additionally, the organization manages the Residences at Chestnut Ridge, an independent living and Alzheimer’s and dementia care facility in Pennsylvania. All told, the organization has one server and 41 desktops and laptops. To address the needs of the customer, powersolution. com installed Sophos SafeGuard Encryption to protect the data on the endpoints in the event another laptop was stolen or lost. LOGICnow Max Backup and Disaster Recovery is used to protect approximately 325 GB of user data. The backups occur four times a day (every 3 hours) during work hours. 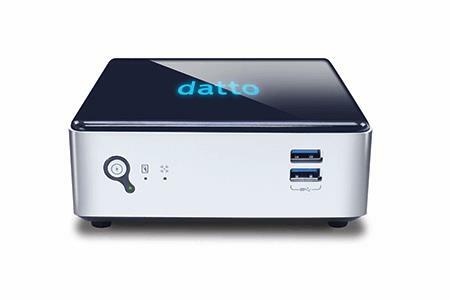 Additionally, a Datto ALTO 2 backup appliance creates a backup every hour. The combination of backup solutions ensures the client will not suffer data loss in the future. Also, both solutions provide feedback to ensure backups are taking place and that data is recoverable if needed. All endpoints are remotely managed and monitored with LOGICnow Max Remote Management. For malware protection, ESET is used. Finally, Fortinet enterprise firewall and wireless access points were installed at each location. Additionally, all of the organization’s email was shifted to Hosted Exchange on Rackspace. Ruchman says there are a couple benefits of going with Rackspace’s Hosted Exchange. First, the company includes a free BitTitan license to migrate mailboxes, making the transfer of users and mail very easy. Second, Rackspace provides “bottomless” archive of emails. While Ruchman says this client hasn’t yet needed to dig back into email archives, the MSP has other clients that have been saved by being able to access old email messages that wouldn’t have been able to be salvaged under other circumstances. The total monthly cost to the client is $6,550. From the date of signature, Ruchman says it took approximately 45 days to get the entire solution fully deployed. As the customer expands, the solution will expand with it. Ruchman says his company is in talks with Memory Care to install remote access points in the 13 locations to create a unified corporate wireless network. Additionally, the plan is to roll out eFolder’s Anchor file sync and sharing solution to store all user data. This will enable Memory Care to eliminate its file server while providing an improved user experience. Finally, Ruchman says the organization is taking over management of another facility in Iowa, which will require all the same services rolled out initially to the New Jersey and Pennsylvania locations. The MSP has partnered with a local Iowa MSP to deliver the services. Beyond this customer, Ruchman says there are plenty of other potential customers in similar situations.